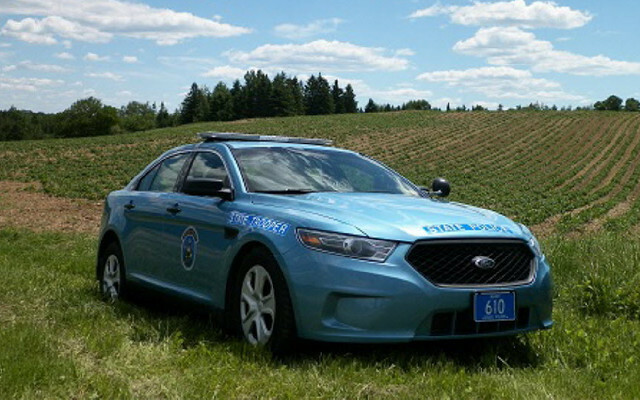 Maine State Police - Troop F - Aroostook County. The Maine State Police Troop F barracks in Houlton responded to an unspecified number of calls for service during the period of March 18-31, including the following. HOULTON, Maine — The Maine State Police Troop F barracks in Houlton responded to an unspecified number of calls for service during the period of March 18-31, including the following. Cpl. Michaud took a theft complaint in Westfield. A caller reported that a vacant home, owned by his father, had several items stolen from the location. The man reported that the structure had been entered several times over the winter and a variety of tools and snowmobile parts had been stolen. A suspect was developed and the investigation is ongoing. Cpl. Michaud arrested a Presque Isle man on an outstanding warrant for a bail violation. The man had been arrested on multiple burglary and theft charges, and had been released on two other occasions while on bail. He once again, failed to comply with his bail conditions, so he was charged with another violation of his bail conditions. He was arrested without incident and ultimately taken to the Aroostook County Jail. Caswell — Trooper Levesque assisted the Aroostook County Sheriff’s Office with a crash involving a fuel truck in Caswell. Details regarding the cause of the crash are not available; however, the fuel truck was rolled onto its side and was leaking fuel. DEP was called due to the leaking fuel. Fort Fairfield — Tr. Pescitelli confirmed that a male from Fort Fairfield had outstanding warrants for violation of bail and failing to appear. Tr. Pescitelli located the male at an apartment in Fort Fairfield, arrested him on the warrants and transported him to the Aroostook County Jail. Masardis — Tr. Pescitelli and Tr. Adams conducted traffic enforcement in the town of Masardis for two hours. The troopers stopped 16 vehicles and issued multiple warnings, two Violation Summons and Complaint (VSAC) charges and one operating after suspension charge. Perham — Tr. Pescitelli was patrolling in the town of Perham. He ran a registration plate on a vehicle on the road and found that the female operator was under suspension and had an active warrant for her arrest. Tr. Pescitelli arrested the female on the warrant and summonsed her for OAS. Wallagrass — Tr. Curtin arrested a Fort Kent man and charged him with criminal speed while patrolling Route 11 in Wallagrass. Tr. Curtin was patrolling a stretch of Route 11 where speeding complaints are routinely made by local residents. The speed limit is 35 MPH in the area, and Tr. Curtin pulled the man over after getting him on radar at 75 MPH. The man had more than 30 prior convictions on his record. Houlton — Tr. Adams conducted a warrant check in Houlton. He located a male who had an outstanding warrant for failing to appear. Tr. Adams arrested the male and transported him to ACJ. St. Francis — Tr. Curtin was assisted by the Maine Warden Service at a call in St. Francis. The call requested medical services at an apartment complex. On callback, a female said her child had the phone and there was no emergency. With a history of issues at the apartment, law enforcement was responding as well as an ambulance. A warden arrived on scene first, and was met with some confrontational and non-compliant individuals. Eventually, a local man was arrested on an outstanding warrant and no other issues transpired. 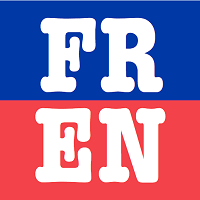 Frenchville — Tr. Curtin responded to a Frenchville location when a heavy equipment owner reported that one of his pieces of equipment had been vandalized. A similar incident had been reported in Madawaska and the investigation is ongoing with information being shared between the local police department and Tr. Curtin. Houlton — Tr. Bell was observing traffic in Houlton and ran a registration plate on a vehicle that passed by him and found that the female registered owner was under suspension. Tr. Bell pulled the vehicle over and summonsed the operator for OAS. Island Falls — Tr. Casavant responded to a complex in Island Falls when a man reported being assaulted by someone in a neighboring unit. The investigation revealed that the man had been bothered by loud noise throughout the evening by the adjacent unit. He went next door to confront the people and was punched in the face. The other parties left prior to Tr. Casavant’s arrival. The investigation is ongoing. Mapleton — Tr. Levesque observed a vehicle parked at the gas station in Mapleton. After checking on the vehicle it was discovered that the female driver had a suspended driver’s license and the male passenger had an active warrant for his arrest. Tr. Levesque issued the female a criminal summons for OAS and arrested the male on the warrant. The male was transported to the Aroostook County Jail in Houlton.